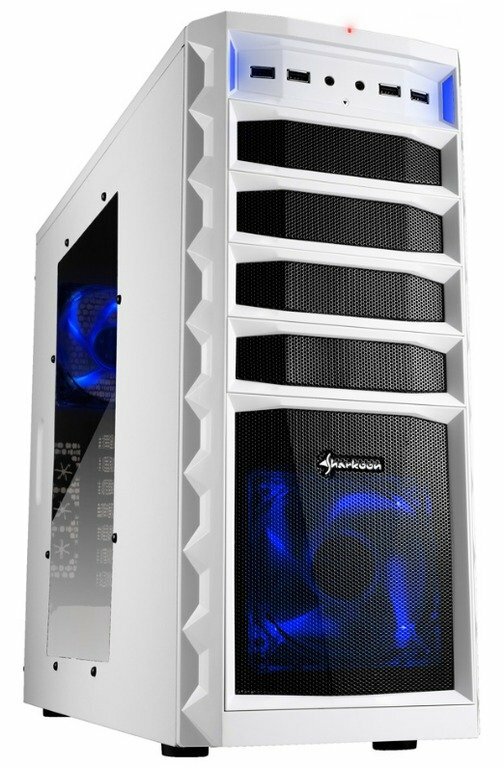 Sharkoon introduces the REX3, a new line of three new mid-tower cases. They measure 485mm x 185mm x 420mm and weigh 6.5kg. There's a black Economy edition and also a black and white Value edition with side window. 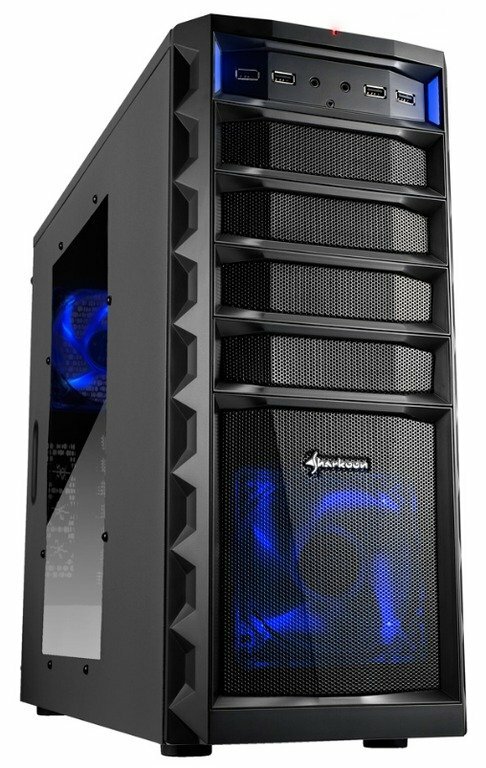 The cases offer three 5.25" bays, four 3.5" drive bays, seven PCI slots, pre-cut holes for watercooling tubes, six USB ports (6x USB 2.0 for the Economy, 2x USB 3.0 and 4x USB 2.0 for the Value), and seven PCI slots. 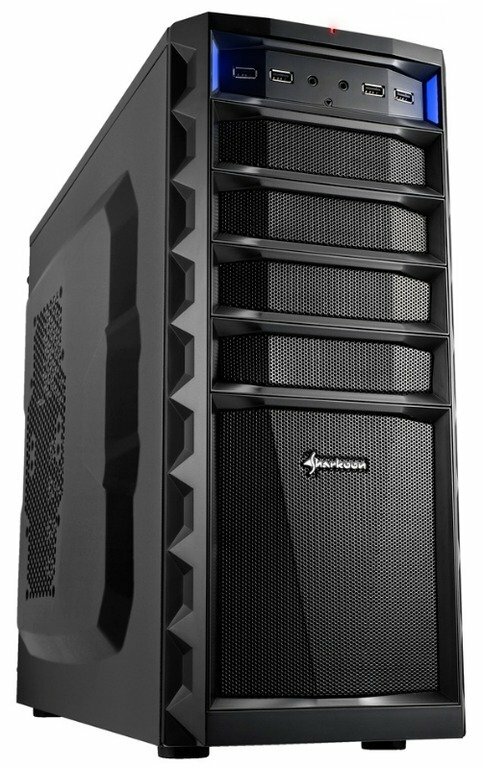 Both models have room for graphics cards of up to 290mm long and CPU coolers as tall as 160mm. The REX3 Value also comes with two 120mm LED fans preinstalled, one in the front and one in the rear.